Education: Toni &Guy Hairdressing Academy 2016, Aveda education hair color systems, Certified in Peter Coppola Keratin Concept, Certified in Vomor Extensions. Inspiration: “Look good feel good.” A great haircut, color, or style can alter how someone feels about themselves even on the worst day. I love making people feel good which is why I became a hairstylist. Inspiration: My goal is to bring a sense of well-being and internal peace to everyone. Education: I attended New England Hair Academy for Nails! and have been working in the field since 2012! Inspiration: I became a nail technician to express my creative side and to inspire others to do the same. I want to show everyone that peace of mind can come from a welcoming environment and honest people. If you come in feeling down, I want you to leave feeling better about your day or what's to come. 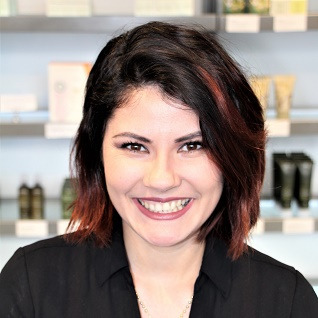 Education: Briana comes to us with 5 years of salon industry experience in Boston, having first studied at a Vocational School south of the city, then training in L'Oreal, Goldwell, Oribe, Kerastase, as well as out of salon styling classes in vintage styling. Inspiration: She finds the most inspiration inclassic 40's and 50's photos and films, the vintage community, and modern runway. Briana is looking forward to continuing her education with Aveda and utilizing those tools to create a wonderful experience for all of her guests! info:Education: Tri-County Vocational School 2004, Used Paul Mitchell, Wella, Goldwell, and Matrix before choosing to work with Aveda. Educator: Training classes, core cutting, pure foiling, razor cutting, collection classes, curly/textured cutting, styling. Inspiration: I get inspired by making my guests happy, and excited about trying something new, whether it is a new haircut or color. I love to bring out their inner beauty, fix problems, and change shapes to go back to something beautiful. Inspiration: As someone who has been around the industry my entire life, I really found a way to merge my passion for beauty, education, and service. By opening Pyara, I found a way to embrace a practical way to help people. I truly believe that when we look our best, we feel our best. My product obsession and love for natural solutions work together to create the ultimate guest experience with our knowledgeable team. Each guest that we have in our spaces is like family to me. We as a team are so grateful for all the guests that call us home and their place. Each year we continue to help guests, we learn more about how to customize our guests experience and make each visit special. When Crystal's parents told her, they would no longer pay for her nails, she took matters into her own hands. Not being able to find the amount of glitter and bling she wanted, she would leave her nail appointments, and go home and build looks she would create with lines and dots. After other clients asked her to recreate these looks for them, she realized maybe she had a calling. With being in the industry since 2009, she has grown immensely by adding crystals, glitter, foil, Swarovski pixie, and many other things she can manipulate to make beautiful nail designs. Nothing makes Crystal happier than someone coming in with a crazy Instagram look that starts with a full set of acrylics. In her words, there is never too long a nail or too much glitter! Education: Aks Massage School 2002, Nationally Certified Therapist of Massage and Bodywork 2003, Senior member of the American Massage Therapy Association 2004, Reiki Level II Practitioner, Certified Kinesio Taping Practitioner 2009. Certified Professional Life Coach 2011, Oncology Massage practitioner 2012. Inspiration: I have been practicing as a full-time massage therapist since 2002 and have been with the Pyara family since June of 2011. With my extensive education and experience, I am able to perform assessments and treatments for pain as well as optimizing muscle and fascia functionality. Due to my background in Reiki and Professional Coaching, I am able to help my guests create a sense of balance within their mind and body. Using my ability, kindness, and humor within my massage sessions I can help my guests achieve positive results. Education: Attended Muscular Therapy Institute in Western Cambridge, 1000 hours. Inspiration: To focus on each individual guest, tailoring the massage to their needs-from Swedish massage, Deep Tissue, or Hot Stone massages. Massage is my passion and my hobby because I work from the heart and ensure that each guest leaves feeling balanced and at peace. Education: New England Hair Academy, Advanced education for both cutting and coloring through Aveda and behind the chair. Inspiration: I find inspiration every day in the world around me and love that the techniques and trends are constantly changing and require me to stay relevant and inspired through constant education and personnel growth. My passions are detailed color appointments such as color corrections and balayage hair painting. I love having an image in my head and seeing it all come together. Education: TONI & GUY hairdressing academy 2015-2016, Aveda hair color systems education, Vomor extensions certified and Peter Coppola certified. Aveda face to face education. Inspiration: I found my inspiration and love for hair at a very young age. My mom has been an Aveda hairstylist for almost 30 years and watching her make her clients feel their best and put a smile on their face inspired me to want to do the same. Being able to show my creative side every day is a great feeling. info:Karissa is a strong proponent of massage being a viable modality for overall well-being. She addresses guests’ physical ailments through listening and understanding the expectations in order to fully deliver a balanced and deep releasing outcome. With education obtained from Lincoln Technical Institute in 2007, Karissa incorporates modalities such as trigger point, assisted stretching/ROM, hot stone, and Swedish massage into her technique. Karissa also provides specified home care after each session and fully encourages guests to reciprocate with any questions or feedback. Info:Keirstanne started her adult career as a pre-school teacher. 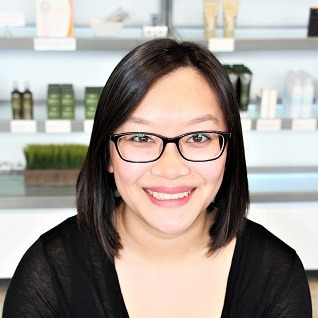 She has always been interested in the salon industry, and chose to apply to Pyara for a receptionist position. Jumping into it, she was in a whirlwind of excitement, and was eager to learn everything about this industry. She completely changed her career and continued to do what she could to grow with Pyara. She has taken classes, such as strategies and bench-marking to get her ready for a supervisor role. She loves being able to help the guests as well as the staff, making their day easier in whichever way she can. Working with kids before the beauty industry has given her the patience to handle situations calmly, and truly listen to, and hear people! info:After attending the University of Delaware, Kitty started her career in cosmetology at the Gary Manuel Aveda Institute in Seattle. Kitty graduated and became an Aveda colorist in Philadelphia where she specialized in Balayage and color correction. 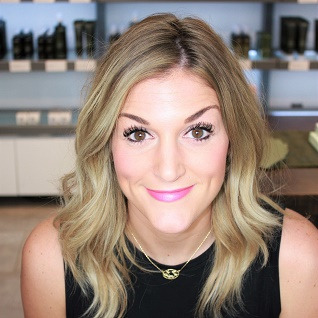 She has been with the Pyara family in Cambridge since 2010 and is a certified Aveda color educator. Her passion and inspiration come from following top designers and fashion from around the world as well as the students she mentors. info:Narissa attended Blaine Beauty School in Malden, MA and has been a licensed nail technician since 2006. Her favorite service to do for her clients is a pedicure! She loves the before and after and the look on her clients faces when she's done. She enjoys putting a smile on her clients' faces through conversation and an appointment they will never forget. Her favorite part of the day is when a guest physically feels better after their appointment. She believes working with the elderly and in a hospital has allowed her to truly care for people in one of the best ways she knows how...through touch! info:Randy Sue attended Polarity Realization Institute, which is now SpaTech, in Ipswich, MA. She has been practicing since 1999, and she specializes in integrative massage. She loves that integrative massage is based on the idea that not just one massage is right for every situation. She uses every tool she must best serve you, including; Swedish massage, deep tissue, trigger point work, reflexology, and polarity. Polarity is energy work which utilizes the same energetic anatomy as Reiki, but is hands on. This allows her to add another dimension to the mind-body connection, and to bring her guests a richer massage experience. She loves her work, and making people feel better with her touch. Education: Spa Tech Institute of Esthetics Graduate 2016, Aveda Education, and currently pursuing an associate degree in General Business at Mass Bay Community College! Inspiration: I love building relationships with my clients and working with them to achieve their skincare goals. I have a passion for educating my clients about all aspects of skin care, hair removal, home care, essential oils, makeup, stress cycle, and healthy living regimens. I am honored to live and work by Aveda’s mission statement, to care for the world we live in, and give back to our society! Education: Been in the industry since 2010 and with Aveda since 2011, Cosmetology and Associates Degree in Salon management from Virginia College in Huntsville, Alabama, Advanced Color Training and Balayage/Foil Training with Kerry Bilter, Advanced Cutting with Jon Reyman, Men’s Cutting Classes with Michael Pavlick. Inspiration: I was originally inspired by different vintage styles and I believe that beauty is something you feel as much as you see. I love all forms of art and beauty in this industry. I would like to thank my earliest clients - i.e. all of my barbies and high school friends - for inspiring me! I enjoy dramatic cuts, edgy styles and cuts, styling, updos, and fun color projects. "Life is an endless struggle full of frustrations and challenges, but eventually you find a hairstylist you like!" Education: Elizabeth Grady School of Esthetics, B. A Psychology from SUNY Stonybrook, M.Ed in Early Childhood Education from UMASS Boston. Inspiration: As a former teacher, I strive to educate my guests on how to reach optimal health and balance in both mind and body. I love providing advice for in spa treatments, home care, and makeup application. I have always been inspired by Ghandi’s words, “If we could change ourselves, the tendencies in the world would also change.” For this reason, I am excited to live and work by Aveda’s mission to care for our world and give back to the people in it. Education: Elizabeth Grady School of Esthetics. Inspiration: I enjoy being able to customize people’s individual needs, whether it be perfecting your brow shape or creating a facial to fit your current needs. My goal is to make sure you leave feeling more confident and relaxed than you did when you arrived! info:Being a mom I learn that I truly love caring for others! 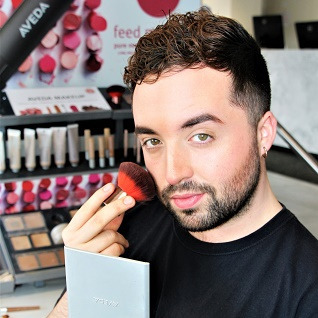 After graduating from Empire beauty school in 2015, I realized I could find unlimited inspiration and growth with Aveda. Since I graduated, I have taken advanced education with Aveda, Vomor, Peter Coppola Keratin, American wave, cutting and color. I find inspiration from when my guests feel confident and when I have created a look that they love.